REDISCOVERING THE SPIRITUAL ESSENCE OF BEING, THE TRUE NATURE OF REALITY, AND THE NON-PHYSICAL ORIGIN OF THE UNIVERSE. RESTORING THE AWARENESS OF AN AGE-OLD HIDDEN TRUTH AND THE LOST WISDOM OF LIVING IN HARMONY WITH SELF, THE COSMOS, AND THE HUMAN RACES OF THIS PLANET AND FROM ACROSS GALAXIES. Our world seems to be constantly out of balance and in distress. It has been this way for thousands of years now and the root of the problem goes way beyond what we see and hear during scripted TV news programs and narrative-framing opinion shows. To address that, we must find out how we ended up here. We must figure out how the system works. Thousands of years ago the inhabitants of the planet became prisoners of an illusion. It all began with the genetic downgrading of the humans that first appeared on Earth. They were neither the miraculous creation of an all-knowing deity with supernatural powers, nor the result of a random and basically impossible process of gradual natural biological evolution. In the beginning, the original Earth people were actually elevated to a superior genetic condition by the bringers of light, non-terrestrial entities that would share with them their more complex DNA and also some of the knowledge they became privy to during millions of years of civilization advancement. They were here conducting an experiment consisting in bringing together human races from across the universe within a social ambiance favoring cognitive progress and enlightenment, something that was to benefit the entire cosmic brotherhood of man. The later genetic downgrading was the work of other non-terrestrial entities known in some circles as the Custodial authorities. A fact revealed in many of the ancient records telling the true history of humans on Earth, at one time they took control by force over the experiment. That and the downgrading was soon followed by the creation of an existential environment meant to allow them to exert almost full control over the population of the planet. It included religious institutions promoting all sorts of belief as fact with the intent of inducing a false perception of reality and of self, authoritarian forms of government and an economic mechanism generating inequity, uncertainty and want for a majority of the population, as well as an artificial, not merit-based stratification of society. The system is still in place today and is the main cause for the state of crisis our civilization has been experiencing for its entire known history. To some this may sound like a dystopian story publishing houses would love to get their hands on aware there is a significant market looking for such a thrill generating illusion, and also a movie to make. When we take notice of and pay close attention to the evidence, though, we become aware not just of the reality of the mental trap but also of its oppressing efficiency. That, however, is something the guardians of the status quo would not want exposed in any shape or form. Nevertheless, you are about to cross over into what at one time was inaccessible territory. 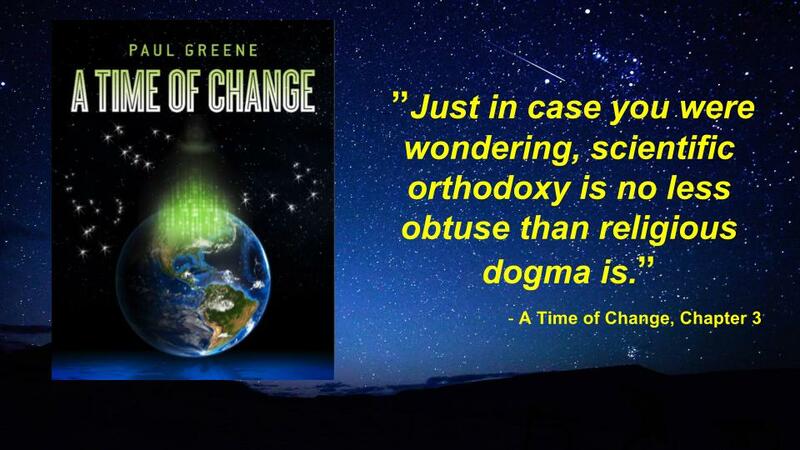 Without a doubt the status quo is slowly but irreversibly changing and Earth humans are living the dawns of a paradigm shift in the way they understand their place in the universe and the purpose of being. As that happens the avalanche of shocking facts triggered by this grand awakening reveals the depth of the deceit, and the world will never look the same to them again. Some will be and are already angry realizing they have been lied to for centuries or because their acts of deceptions are now exposed. Others are elated, relieved and optimistic. To protect their ability to control the people, the old structures of power are seeking to exacerbate the confusion by serving the population of the planet with what these days is an in your face falsification of reality. As a result, there is turmoil on every existential level, within and without ourselves, something already visible all over the planet and in the way we perceive the world we live in. To be able to adjust to this at times chaotic movement toward spiritual and social emancipation and to become consciously integrated within the transition, one will have to be prepared to either generate change or react appropriately to it. A Time of Change is an unusual book of knowledge providing support with that. An uncompromising quest for unveiling hidden truth meant to set a human’s mind forever free, it took more than thirteen years for the project to be completed. It is now made public here, in three stages, my gift to humankind. On March 20, 2019, the first of the three volumes of the book was made available here free of charge in a downloadable PDF file format. The tentative release date for Volume 2, release to happen under the same circumstances, is July 4, 2019. A Time of Change, Volume 3 will be made public at a to be announced later time. To access the book click on the link below, find a quiet place, and read at your own pace. Do it from the blog or download the file to your device. Share what you learn with others and mention the source to them. It will take people like you to have this work reach enough of the population of the planet in order to induce significant change. What matters in the end is that something of significance for the greater good comes out of our effort. The author is not associated with any political organization, religious cult, secret society, social, spiritualist or new age movement, and he does not intend to establish something of that nature either now or in the foreseeable future. What the people of the planet choose to do with the information shared in the book is entirely up to them. I am not here to change the world. I am here to do my part in helping the world change itself. The comment feature of the blog is disabled. Those who understandably may feel the need to debate over the content of the book should do so in their college, university, or house of worship, within the circle of their family and friends or at the local book club. Most likely there is one in your neighborhood or somewhere nearby. If not, create your own. As usual, you are the only one responsible for the choices you make, or you do not make. To find out more about the book you have the articles published below. To receive new posts enter your email address in the window provided and submit. Check Announcements for news, watch the videos under Informational. They are, indeed, informative, fun, and related to topics discussed in the book. 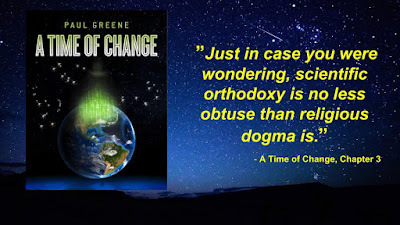 There is an A Time of Change Facebook page, a Paul Greene Facebook page, and a PaulGreene5 Twitter account where you may find additional reasons to read, or not, the book. A TIME OF CHANGE is private intellectual property made available to the public in this format for civilization advancement, not for financial profit. Copyright laws prohibit the unauthorized commercial use or reproduction of this work. 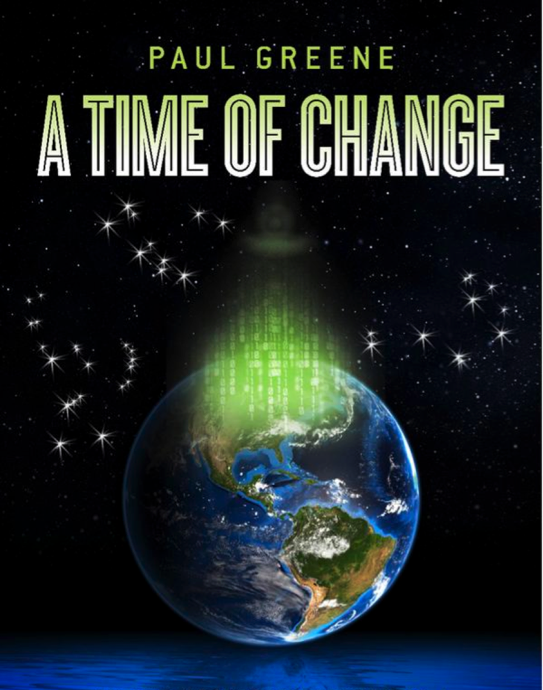 03.21.2019 - A Time of Change, Volume 1 is now available here free of charge, in a downloadable PDF format. 02.21.2019 - From the author's point of view editorial work on A Time of Change, Volume 1 is now completed. Considering there is so much interesting information to process and digest, the book will be released one volume at the time. Meanwhile, blog broke the 77,000-visitor mark. 06.13.2018 - Broke the 70,000-visitor mark. I have no idea how many of these hits were real people but I would like to thank the Russian and the Ukrainian sites that at one time made a huge impact. Oh, the mysteries of the Internet! They never cease to amaze us. 04.23.2017 - Apparently, Google Blogger does not like it when you paste Word text into it. It reacts by disabling some of its original settings and apparently there is no way of restoring them. As a result, I have no control over the color of the post title. I guess we will all have to live with that. E-MAIL: Click above on 'View my complete profile' and look for email. About the Book. Release Date. Visual Microphone - Everything is energy vibrating at its specific frequency, influencing the existence of everything else. Internet: The Virtual Human Right - Listen to this teenager straightening up our civilization. The Spirit Science - I do not concur with everything claimed in the series, but I strongly urge you to pay attention to what is being said there. Keep an open mind about everything. Everything is energy, us included. When we become aware of that our perception of reality radically changes. David Suzuki's brilliant definitive case for the reality of overpopulation. Merkabah: The Chariot of Ascension - The Merkabah is the Star Tetrahedron, a device with five faces that allows the human spirit to ascend into multiple dimensions and space/time locations. The Merkabah is mentioned in the Pleiadian message. A TIME OF CHANGE: Topics, People, Places.